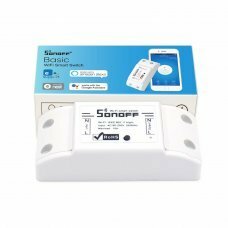 Dual system, wall recessed switch that can be operated by pressing or controlled with the mobile phone and its app, compati.. 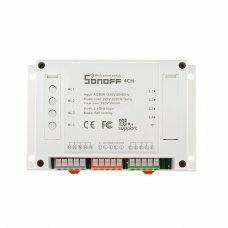 Features Can control up to 4 outputs Remote ON/OFF–Turn electrical devices on/off from anywhere App Support .. 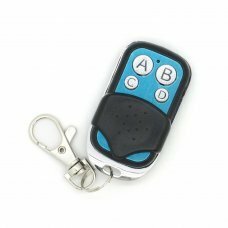 Features Dual control Works with Wifi and RF remote controller (rf controller not included) Remote ON/OFF&nda..
RF Remote 433MHz 4-Button This is a 4-button wireless RF remote control that controls the wall switch, plug or smart swi.. 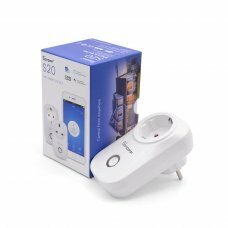 Remote ON/OFF–Turn electrical devices on/off from anywhere Monitor Real-time Power–Check current power via Ap..
SONOFF S20 SMART SOCKET - WIFI SMART PLUG EU Remote ON/OFF–Turn electrical devices on/off from anywhere App Support.. 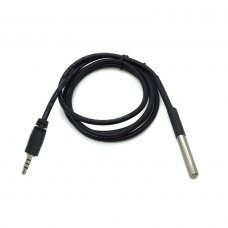 Remote ON/OFF–Turn electrical devices on/off from anywhere RF Remote control–Turn on/off by 433MHz RF Remote i..
AM2301 Sensor Temperature Measuring Range: -40℃~+80℃ Humidity Measuring Range: 0~99.9%RH Power Supply: 3.3-5.2V DC (5V..
DS18B20 Sensor Type: Waterproof temperature sensor Probe: Stainless steel temperature probe Temperature Measuring Rang.. 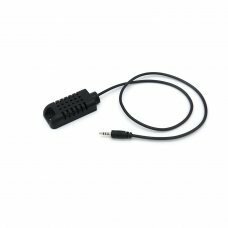 Thanks to its features and versatility this intelligent switch can be used to control, whether temperature or humidity, a g.. Features Remote ON/OFF–Turn electrical devices on/off from anywhere App Support –Free iOS and Andr..
What if all the devices in your everyday life could be connected to the Internet? Not just computers and smartphones, but everything: clocks, speakers, lights, bells, cameras, windows, blinds, water heaters, appliances, kitchen utensils, whatever. What if all those devices could communicate, send you information and receive your orders? It's not science fiction; it's the Internet of Things (IO), and it's a key component of home automation and smart homes. Home automation systems allow efficient management of a living space. The concept of a house that works for its inhabitants dates back to the electric doorbell in the 1830s. Today, the smart house can do hundreds of useful tasks for you, whether you're inside or outside your home. Home automation is exactly what it looks like: automating the ability to control items around the house - from the window to the pet feeder - at the touch of a button (or voice command). Some activities, such as setting up a lamp to turn on and off at will, are simple and relatively inexpensive. Others, such as advanced surveillance cameras, may require a more serious investment of time and money. There are many categories of smart home products, so you can control everything from the lights and temperature of your home to the locks and security of your home. Here is a summary of the best products we have tested for every room in the house. 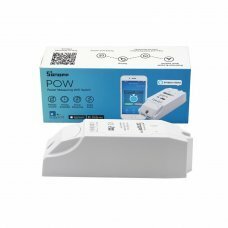 Sensors and devices connect to a home hub controller that sends notifications to your mobile device when specific actions occur. Applications on your mobile devices also control smart homes. If you're away from home, the controls and notifications go through internt and to your mobile phone so you can set up your home automation devices from anywhere you are. What are some examples of home automation? Smart devices automate many facets of home life. Did someone open the front door? A smart door lock will send a notification via email or message. Did you remember to lock up before you left? Your phone will tell you and you can activate the door lock with an application. Someone rang the doorbell? An intelligent sensor activates a surveillance camera at the front door and can view images on your mobile phone. Worried about the floods in the basement? A water leak sensor on the floor detects moisture and rings the phone. Did you forget to turn off the air conditioning before you left for the day? Set up your Smart Thermostat with a mobile application: save energy without any problems. 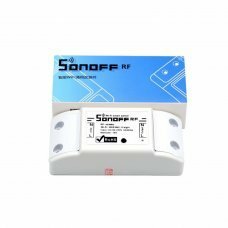 Do people usually do home automation DIY installations? Home automation systems strive to be easy to use. Home automation is achievable with the basic literacy of the home network. Imagination is the limit in most cases. Of course you can hire out the installation just like any other home improvement task. 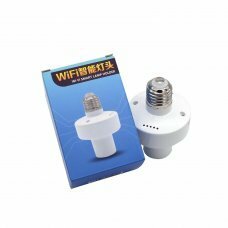 Do you need a special wifi network for home automation? You need a home network. 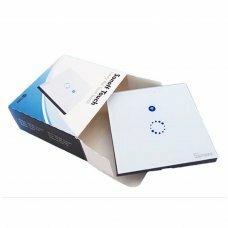 The broadband modem and (preferably) the wireless router where your smart home devices connect and communicate with your mobile devices to monitor home conditions. Gain additional control over smart home devices with voice-activated smart hub kits. Independent smart centers like Echo by Amazon and Google Home are the most popular, but there are also other options. Turn your Windows 10 PC with microphone and speakers into a smart hub with Cortana. If you are a manufacturer, you can build your own smart center with a Rapsberry Pi or Arduino boards and peripherals like a microphone sensor. Are Echo smart devices compatible with Google Home? Neither is compatible with all devices, but many newer devices work on both. Before you buy smart home devices, check IO standards and learn what works with your existing network and endpoint applications. Ideally, all devices should speak the same programming language. What are ZigBee devices? ZigBee is a wireless technology standard for low-power, low-bandwidth devices. Zigbee products are often deployed as a complete ecosystem of POS, door locks, HVAC sensors, motion detectors and surveillance equipment.